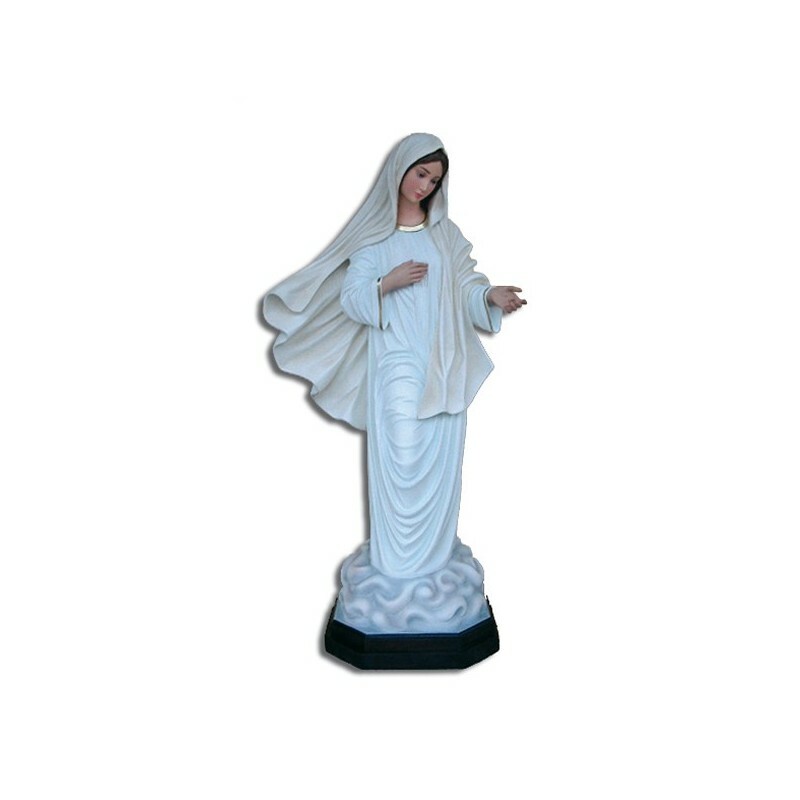 Statue of Our Lady of Medjugorje 130 cm. 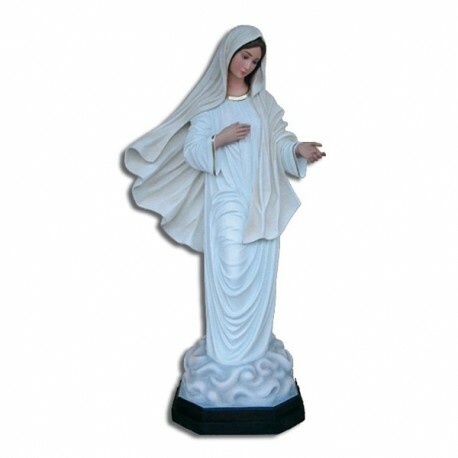 Statue of Our Lady of Medjugorje, of fiberglass, 130 cm, handmade in Italy. The Virgin of Medjugorje, or Virgin of the Peace, appeared to six seers, who affirms they saw her for the first time on the 24 of June 1981. Ever since Medjugorje became a destination of pilgrimage for thousands of believers. Nowadays the Catholic Church does not officially recognize these occurrence. The six seers were exposed to some consultations from many medicians with no plausible explanations. Despite of the no church’s recognition, the Shrine has always more visits of pilgrims from al lover the world. The Virgin is represented with a white clothing, on a cloud, with a hand on her chest and the other ahead. Ho bisogno di ordinare una statua di Madonna. Voi lavorate su ordini? Il mio numero di telefono 3463205002. Maria.